Tyre-bending performance and first class levels of luxury are mutually exclusive, right? Not according to Mercedes-Benz. Tyre-bending performance and first class levels of luxury are mutually exclusive, right? Not according to Mercedes-Benz. 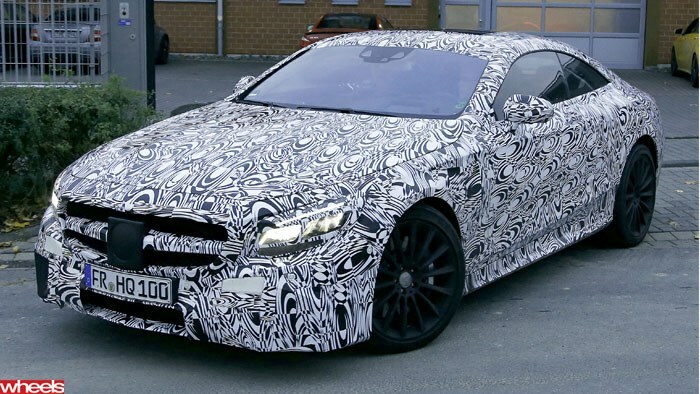 The German giant has been caught testing a new muscled-up AMG version of its S Class Coup, which was previewed in concept form at the Frankfurt Motor Show. Sporting headache-inducing camouflage, early talk is power could come from AMG’s 5.5-litre, twin-turbo V8 which is likely to produce as much as 436kW.